We’ve reached peak bacon. It has saturated every food and drink group much like the dripping grease from its pan soaks through stacks of paper towels. There are people who like bacon, and then there are people who have made it a lifestyle. 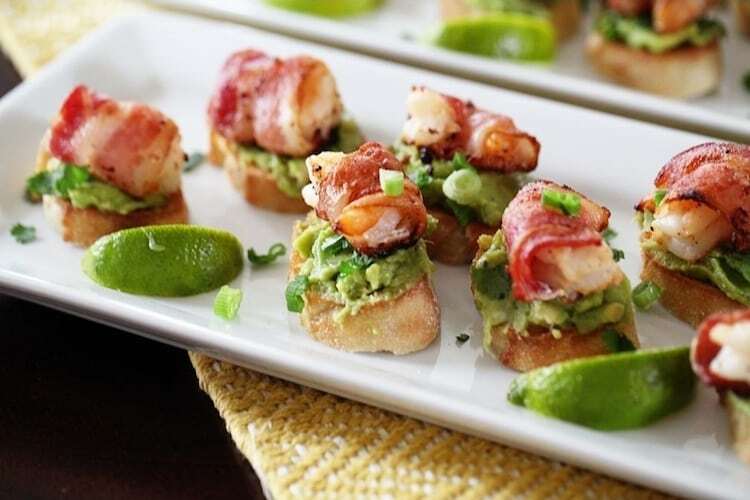 Bacon doesn’t have to be your entire life, but it can certainly be a part of your wedding (although, we hear it is terrible at groomsmen duties, such a pig). So whether you’re a casual bacon-indulger or you wish you were standing up there exchanging vows with cured meat itself, be sure to check out these Plunge-Approved pork products. No exaggeration here, these may just be the best thing you and your guests eat all night. 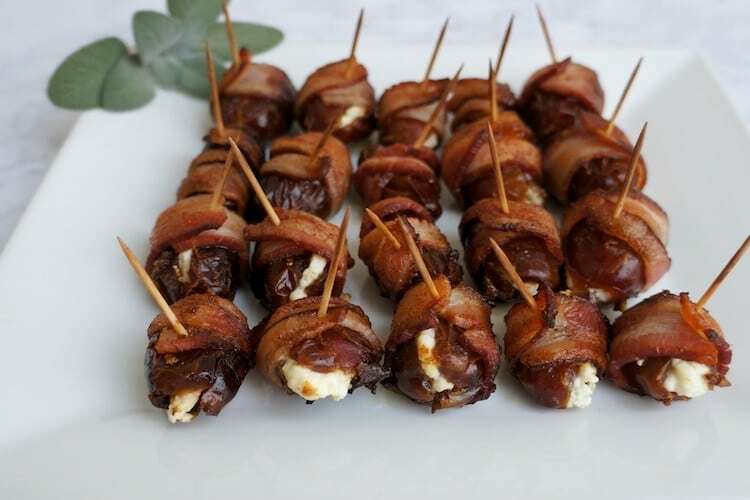 Bacon wrapped dates offer the ultimate sweet and savory flavor combo, as well as a slightly classier alternative to your go-to bacon wrapped smokies. But you’ve been warned, serve these and they’ll might steal the show from the rest of your menu. Consolidate your food and flower budget into one with these ornate hors-d’oeuvres. 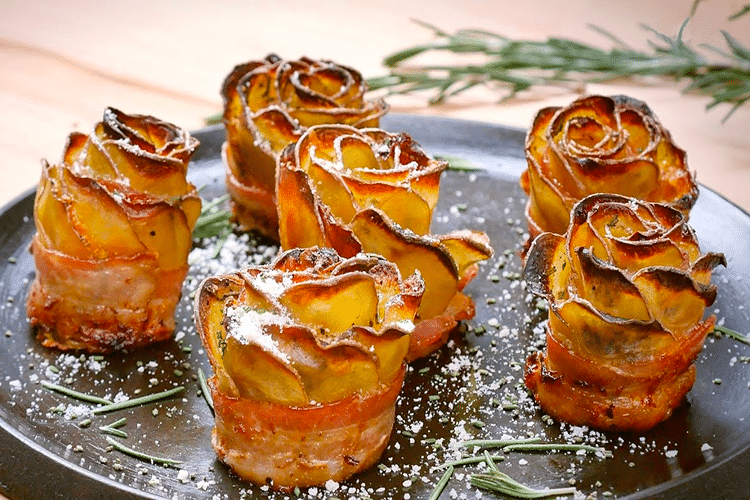 Alright, so maybe bacon doesn’t exactly coordinate with your color scheme, but these bacon wrapped blooms are delicious, elegant, and will definitely find their way onto your guests’ Instagram stories, which is kind of the whole point of having a wedding in the first place, right? 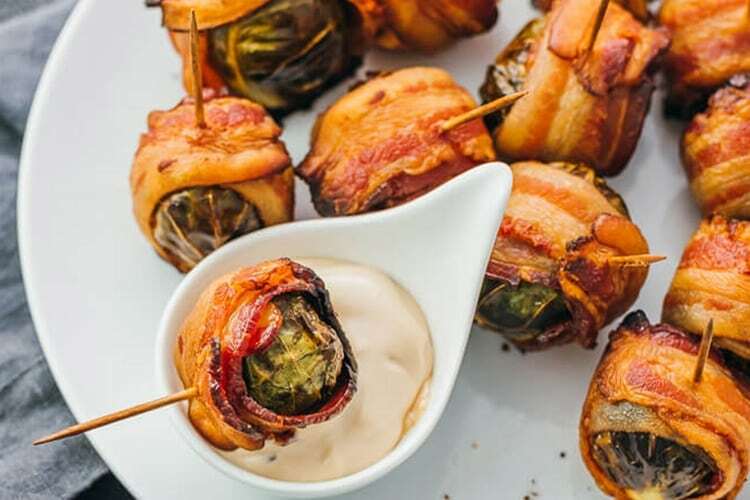 We’ll let you in on a little secret here: The trick is to take pretty much any food you already love, wrap it in bacon, and, boom, you’ve got a perfect wedding appetizer. Shrimp is a classic crowd-pleaser for all occasions. Wrap it in bacon and suddenly you’ve seriously raised the bar. Score extra points by serving it crostini-style on avocado garlic toast. Good news. Pretty much anything that can be stuffed can be stuffed with bacon. Surprise surprise, that includes stuffed mushrooms, the timeless cocktail hour classic. 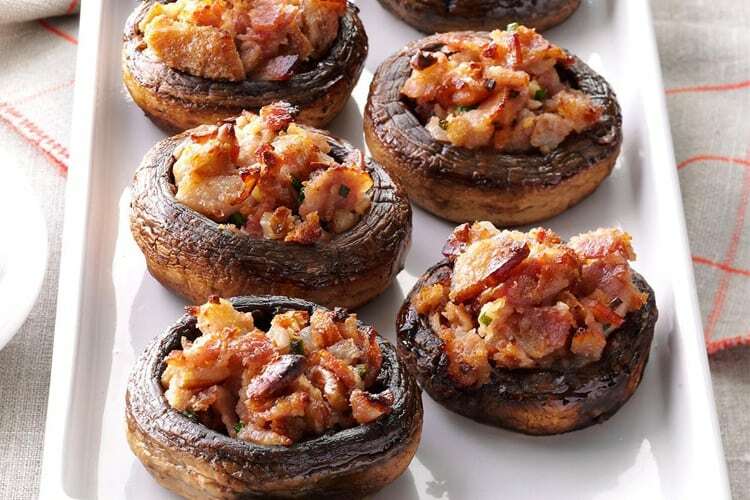 Whether you go bacon parmesan, bacon avocado, or bacon with a seafood stuffing, there’s a way to factor bacon into pretty much any stuffed mushroom option you can think of. Of the many things you were misinformed about during your childhood (Santa Claus, the birds and the bees, adults knowing everything) the deliciousness of Brussels sprouts should rank near the top of that list. Bacon makes everything better, and these bacon-wrapped Brussels sprouts are sure to be a big hit. You may even score some points with your friends for finally tricking their kid into eating vegetables. There’s an old adage that seems appropriate here: find what you love and add bacon to it. 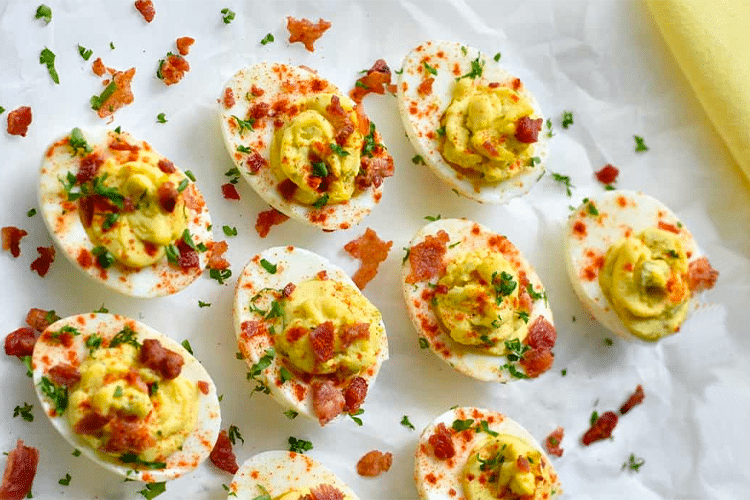 Deviled eggs are a classic appetizer for a reason. But if you’re looking to dress up the old standby with a little something extra, there’s no reason bacon can’t help. One question though: Why aren’t more foods deviled?